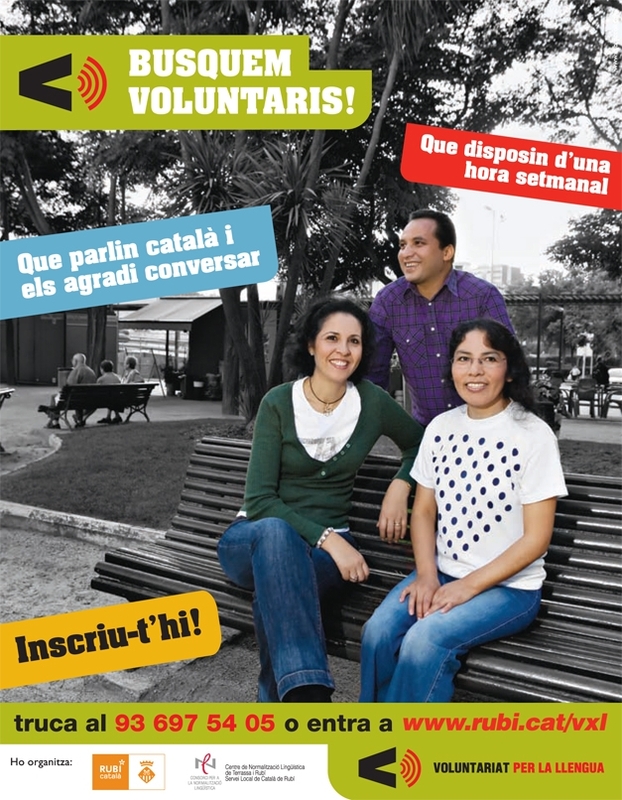 The "Voluntaris per la Llengua" programme tries to match native speakers of catalan with "learners" who can speak the language but need to practice. 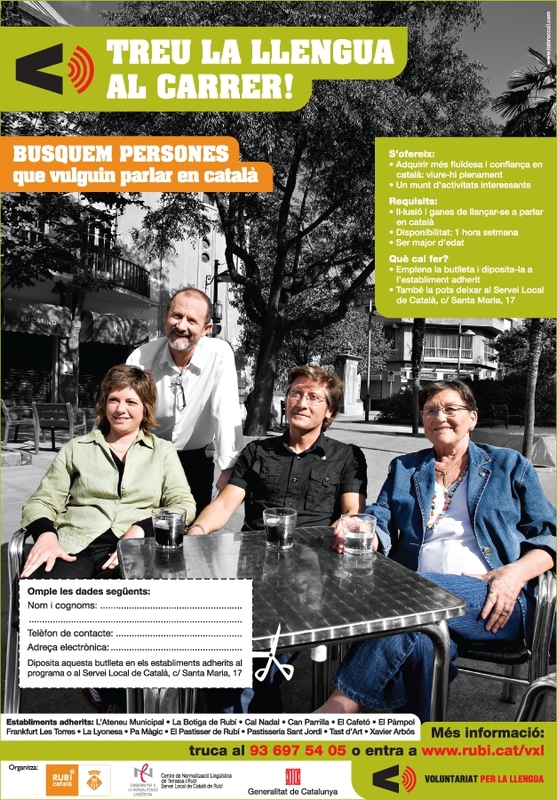 Using actual participants in the programme as photo models, the ads try to convey the values that most participants come to appreciate: meeting new people and having a nice time chatting with someone. 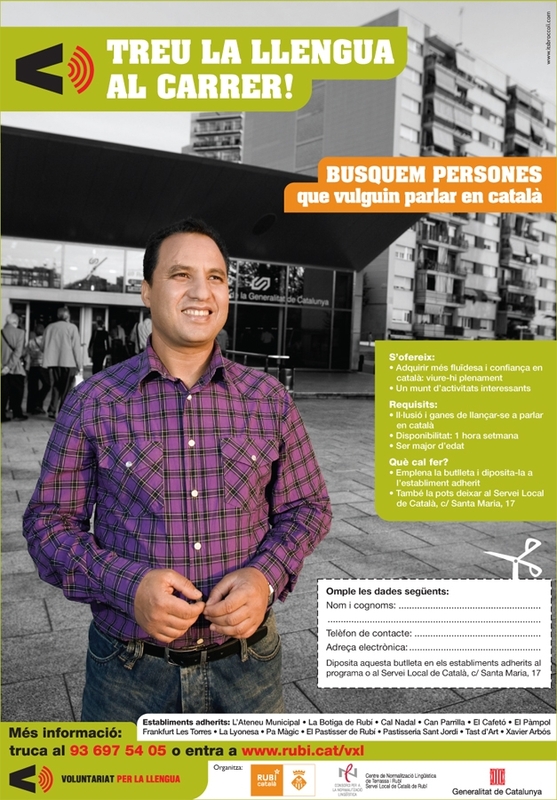 You can join the programme here.